Most of us have seen kids dressed up and ready to attend their martial arts classes at one point or another. However you may struggle to recall a time when you’ve seen lots of adults wandering towards their local martial arts club or class. It doesn’t seem to be as popular among adults as it is among the younger members of society. In truth though, more adults attend these classes than you might think. It just may not be that obvious. It’s easy to assume all classes are for kids but in reality most good venues will provide a range of classes to suit different age groups. In fact you’ll normally find each class is specifically tailored towards a particular age group. This means kids can start at a level that makes the most sense for them, and adults can do the same thing. If you’re thinking that means you’ll be thrown in at the deep end, think again. A beginner is a beginner, no matter how old or young that person happens to be. 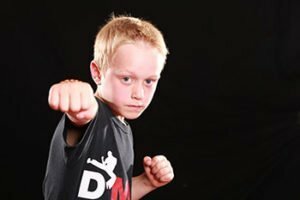 Every class is taken by an experienced trainer, and that means everyone can look forward to setting foot on the learning curve offered to them by martial arts. It’s good too to know you won’t be shown up by the kids when you start participating in your own classes. Adults may have very different reasons for starting these classes when compared to kids. With kids it might be to provide them with a channel for their energy and restlessness. It might be with the hope to improve their performance at school too. On the flip side, adults might try martial arts to enable them to defend themselves and get fit. So why not focus on what martial arts can do for you and forget about the kids for a bit?